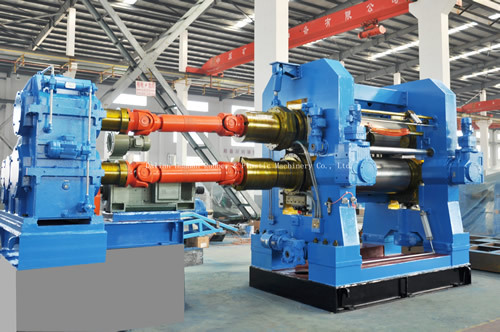 Calender special arrangement according to customer request or products tech requirement: 2/3/4 motors, 2/3/4 gearbox reducer, 2/3/4 universal couplings between gearbox reducer and main rolls. Special arrangement available: axial cross device and preloading device, TCU, multi driving motors, drilled type structure rolls. China Huahan Rubber & Plastics Machinery CO.,LTD. established in 1986, is the largest rubber machinery manufacturer in china, main products has: China internal mixer, China Open mill, China Dispersion kneader, Banbury mixer, Mixing mill, Rubber calender, Rotary curing machine etc.